This month has been filled with the wedding events from another close family member. We had 5 different events, all within the space of two weeks! 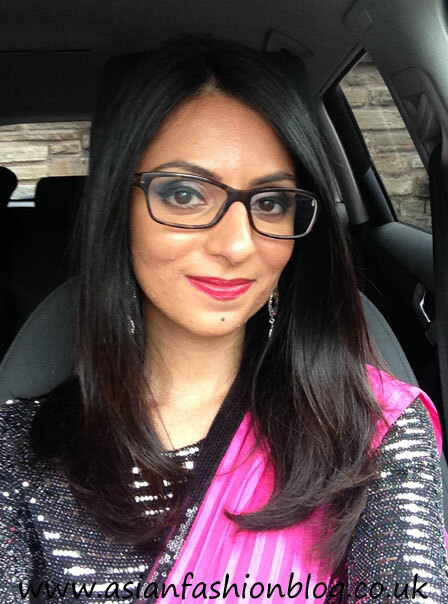 I re-wore a lot of outfits I already had, but for one of the mehndi events I wore a new sari and paired it with a fitted sequin crop top. Read on to see where my crop top was from and how I put together the whole look. I blogged about wearing crop tops as sari blouses last year, and ever since then I've been keeping an eye out for classic coloured crop tops which I could wear with different saris. This one I found on Boohoo.com at the end of last year, it was around Christmas time, when sequins are everywhere and I snapped it up for something like £12. I ended up ordering two sizes, unsure of the fit initially, and when it arrived, I kept the smaller size. On it's own it's probably a bit too fitted for my comfort levels, but it fit just right to be worn with a sari. 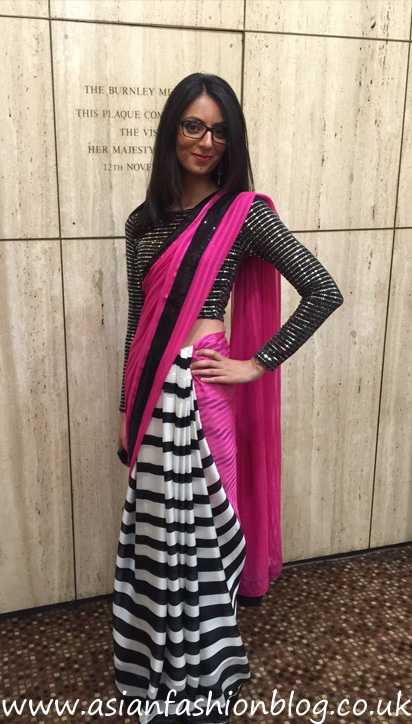 The sari was a gift from my sister, it wasn't very expensive and I must admit when she first showed it to me, with its black and white stripes, hot pink, and thin black sequin border, I didn't think it was anything special. It came with a short sleeved hot pink blouse and my decision to wear it to this mehndi was very last-minute, meaning I didn't have time to get the blouse fitted. So I tried it on with the sequin crop top and the whole look came together. I felt like a disco diva! A look that was perfect for this mehndi function - complete with disco ball! 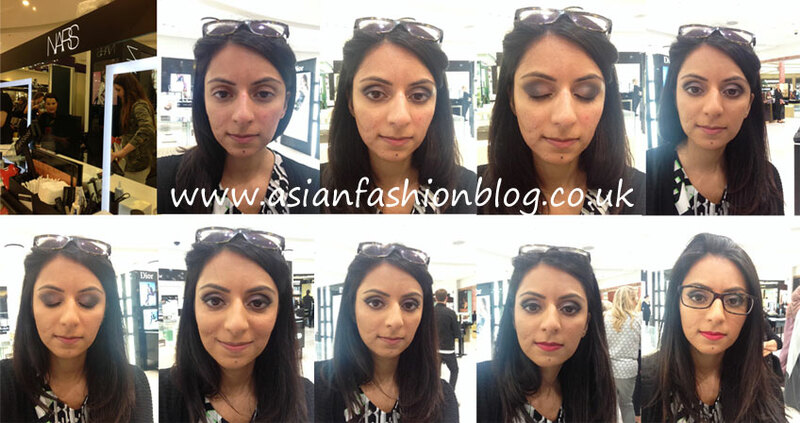 I booked myself into the NARS counter at Selfridges in the Trafford Centre to have my make-up done for the event. 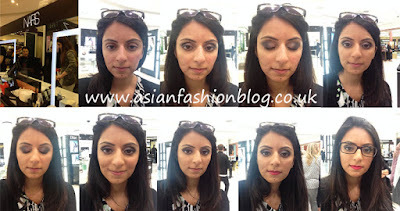 I've booked into make-up counters quite a few times before, but this was my first try at NARS. I had a really good rapport with my make-up artist and overall was happy with my look. It's not the best make-up counter makeover I've had, and usually I ask for lots of glittery, sparkliness shimmer on my eyes, however as my crop top was so sparkly I went for a more muted eye make-up look and made this all about the lips. I took selfies throughout, here's some of them! For my lips, she used velvet lip liner in Costa Smeralda and Audacious Lipstick in Grace. Here's a few more photos of the final look. 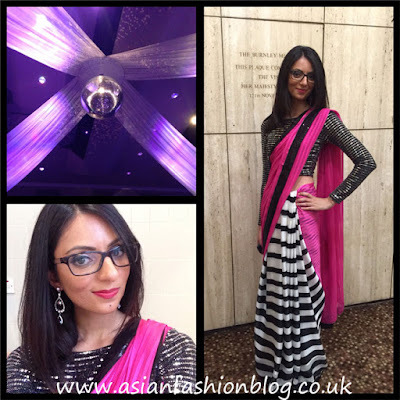 I got compliments from other guests at the event and because the sari is so light (even the sequin border hardly weighs anything) everything stayed in place and I felt really comfortable.